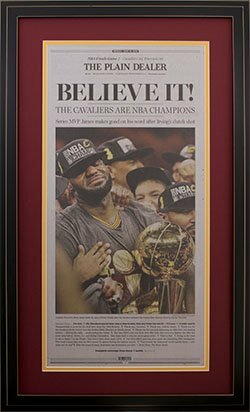 Sometimes the newspaper, magazine, photo, print or other item that you want to frame isn't as flat as you would like or has ugly wrinkles that you would like to eliminate so it looks better in your frame. Drym ounting your page can take care of this. 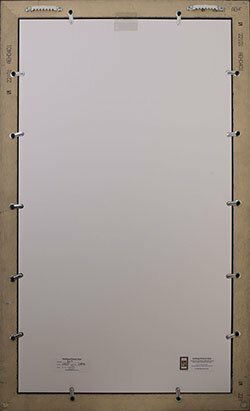 This page addresses dry mounting newspapers but can be used for any single page piece of empherma (magazine covers, art, etc). First take a look at my page on Dry Mounting here. You can have your item dry mounted at the same time that you order your frame. If you do want to dry mount your item, order your frame and then contact me. There are additional charges for dry mounting your item. I will discuss these charges below. You will need to send me the item that you want dry mounted and framed. See below for more information. 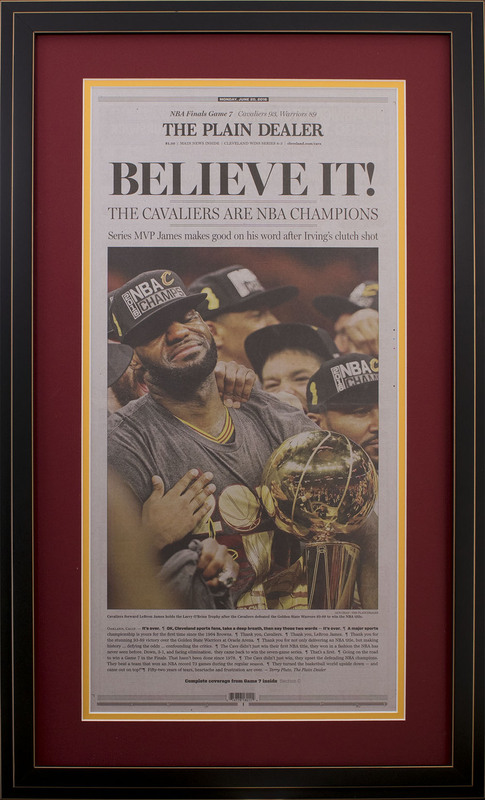 Here is a newspaper that has been dry mounted and framed. The newspaper is perfectly flat. Even the center fold is almost invisible. The cost to dry mount a page that is going in a Value Frame is $.50/United Inch (UI). See the page on Dry mounting for an explanation of UI. 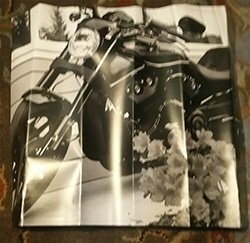 For an 12x22" newspaper page, this would be $17.00. For Value And Changeable Frames, the back of the frame is unfinished so you can insert, remove or change your item. You can remove it at any time to read any of the inside articles. Since your item after dry mounting is permanently mounted, there is no need to have access so I offer a finished back as an option for your frame. In the images below I show a normal back for a Changeable Frame on the left and a finished back on the right. 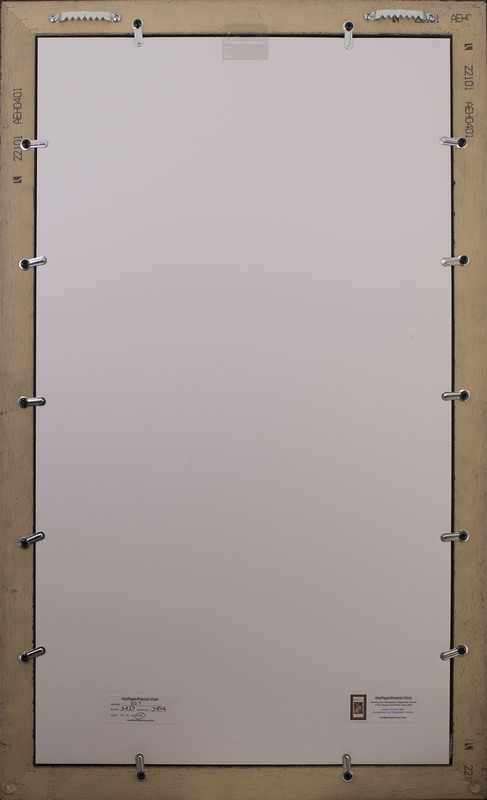 The unfinished back for a Value Frame is similar to the left image except that it uses bendable framing points to hold the content rather than turnbuttons. 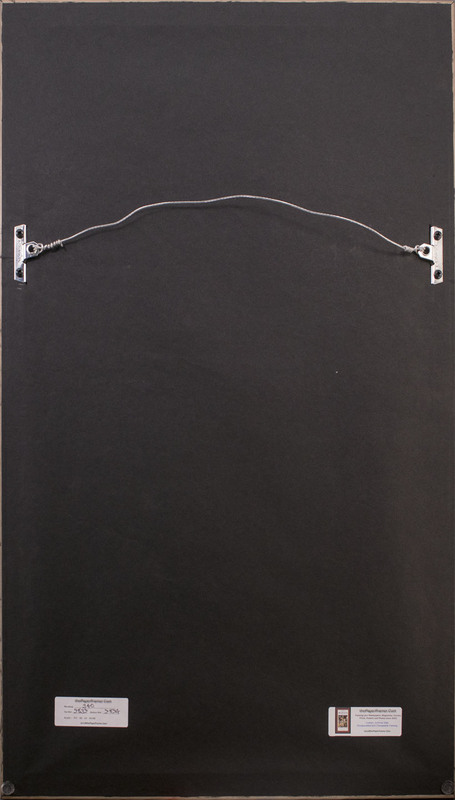 The back is sealed with black framing paper and uses a wire hanger instead of sawtooth hangers. The cost for a finished back is $12.50 for a Changeable Frame and $10.00 for a Value Frame. Make sure the item is well packed and protected. It should be send in a sturdy mailing tube, or if sent flat, protected on both sides with thick cardboard. Do not send your item in a square mailing tube. The square mailing tubes are easily crushed or damaged. Here is a photo that was sent to me in a 4x4x24" box. The box was crushed and the photo was ruined.